I feel sorry for S Club 8, I really do. On the outside all looks hunky dory, but imagine what must go through their minds when the camera's turn off and they have only their thoughts for company. They've got the sort of tunes that most pop acts would hack off their right arm for, yet they'll always been seen as novelty kid act so they have to sing songs like "Puppy Love" and "Tears On My Pillow". They can't dress up like people their own age because that would encourage the pedo-pop stories so hence they're always stuck in a stage of preteen innocence making them look like imaginary characters in Bucks Fizz's world of make believe. And to top off all their day to day worries after adult S Club split up they must have thought the world was theirs...only for Simon Fuller to give away their best songs to American Juniors taking away any chance of a career outside the UK. Following up an album such as "Together" is always a risky move and thankfully they've moved on rather than tried to repeat former glories. If "Together" was a very much a 60s pastiche then on "Sundown" they've moved forward a decade to the disco vibes of the 70s and brought it right up to date with four to the floor beats and contemporary production. "Fool No More" and "Sundown" asserted them as adults and proved that whatever Kylie could do they would simply push her ageing arse out of the way, tell her she better join Madge and start planning for her early retirement quicksmart. "Don't Tell Me You're Sorry" is the song Gareth Gates was aiming for "Sunshine", but with it's stuttering electro and Grandmaster Flash style hook complete with the sort of chorus that only belongs on albums the quality of "Off The Wall" S Club 8 get it right yet again. "Love To The Limit", "I Just Came To Dance" and "Turn The Lights On" are prime slices of noughties disco with the latter placing Calvin as the womanizer telling the girls exactly what they want to here. Glancing to the past "Searching For Perfection" embodies the spirit of Fullers former Girl Power ambassadors the Spice Girls and "One Thing I Know" returns the debut albums Motown pastiche's. If it seems there are power struggles in the S Club 8 camp you'd probably be right, but on the album they all get their moments. Jay's comes on "Big Fun", one of the albums weaker tracks but one of those that are gonna come alive when the S Club kids head out on their arena tour next year. It does exactly what it says on the tin and with time it will become their S Club Party anthem. "The Day You Came" wins us over for it's blatant steal of Abba's "Money Money Money", but why the Westlife-ism's of "Pretty Boy" made it onto the album I don't know. 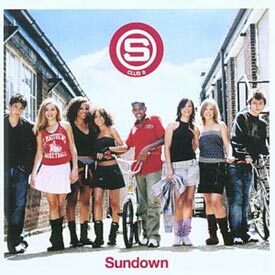 "Sundown" is one of this albums finest pop albums, but it's also tinged for sadness cos the rules of pop dictate that S Club 8 have only got one more album left before the obligatory Greatest Hits album and announcement they are to split. By that time they'll all still be under 18 and with all but the two chosen ones (Ed: Just watch the videos, it's entirely obvious which two Fuller has lined up for solo careers) left with a future career in pop. For the time being, long may the music continue.